Weichberger, Julie Engsberg, Rick Chapman. I had a dream of Baba last night. 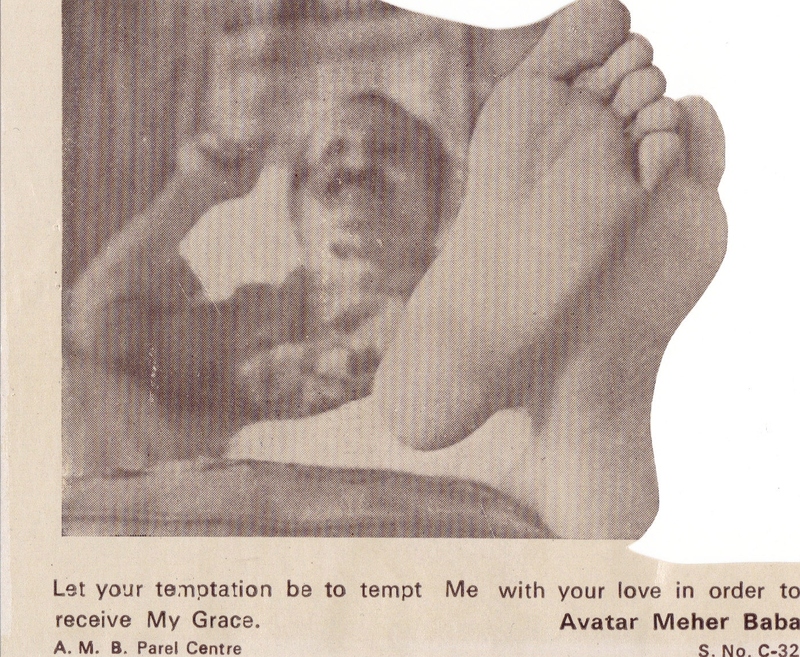 "Meher Baba... 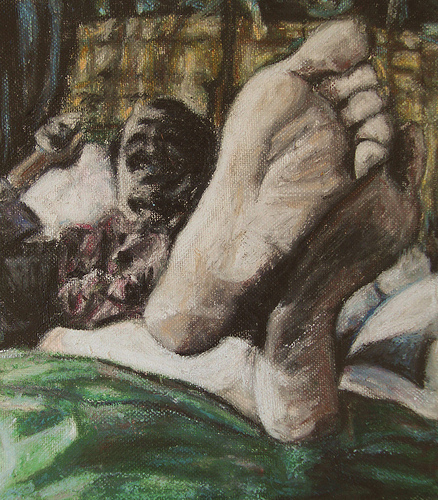 Feet of the Master," by Katie Rose (oil pastels on canvas sheet, 8" x 7"). Used with Permission. and face, but I could see it was Baba, and it was an amazing dream. Interestingly, it was a photo of Baba at some event arranged (or some how organized by the Paramhansa Yogananda people). I remember that detail. It was unusual, and I thought so in the dream as well. Maybe the recent Yogananda energy brought by Dan (Reggie’s climber friend) is involved? Xia: When reading Laurent’s dream, the exaggerated proportion of Meher Baba’s feet call to mind Laurent’s immense devotion of Baba. The feet are often a symbol associated to the concept of devotion to a Master. close as we have to what I saw in my dream.